Retailers are always in search of new ways to improve operational efficiencies. But, without access to real-time, accurate, enterprise-wide data, many businesses struggle with pinpointing inefficient systems and processes. At Emerson Climate Technologies, we’re committed to developing technology that captures the HVAC and refrigeration data that our customers can use to drive real operational improvements. And with our CoreSense™ technology, we’re harnessing the potential of compressor electronics data to achieve operational visibility. What type of data can you pull from our CoreSense™ technology? How can data influence system design and improve performance? How can monitored data at an enterprise level help plan for future store investments? Our first webinar addressing “Operational Visibility” will be presented by Kurt Knapke, director of product planning and electronics. In addition to leading the sales, marketing, product management and engineering efforts of Emerson’s commercial refrigeration electronics team, Kurt has been a champion for the refrigeration industry’s adoption of compressor electronics. He is extremely knowledgeable of system design, architectures, controls and compressor technologies, and how each impacts the total cost of ownership in refrigeration systems. Join us on September 17 at 2 p.m. EDT for this free webinar and see how we’re helping the refrigeration industry MAKE SENSE of the issues that matter most. Register now by visiting our website at www.emersonclimate.com/makingsensewebinars. 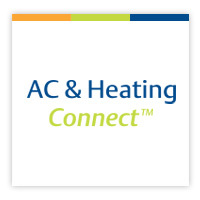 Many of us are familiar with the metaphor that the compressor is like the heart of an HVAC system. The “heart” behaves inefficiently with irregular patterns when particular conditions exist within the system that drives the compressor outside of its normal operating parameters. CoreSense™ technology for Copeland Scroll™ compressors is designed to detect this irregular heart beat much like an EKG monitor does during a visit to the doctor. Many of the common excursions outside of the operating envelope, like loss of charge, low suction pressure, high discharge pressure, and overcharge, can be detected and ultimately prevented with the proper application of CoreSense technology. Protecting the compressor and shutting it down before a catastrophic incident saves valuable time and money throughout the service channel. The following graphic depicts a typical compressor operating envelope for a residential air conditioning application. The area highlighted in green is where the compressor is designed to operates in the most efficient and optimal way. Prolonged operation outside this region can lead to significant compressor and system damage. Four typical operating excursions, the possible causes, and the end of life compressor scenario are denoted around the perimeter of the envelope. The application of CoreSense technology will proactively detect these excursions and prevent them from causing unwanted damage and costly repairs. You may not think that retiring at 59 is a big deal, but when you are talking about a Copeland™ brand condensing unit, that’s pretty special. 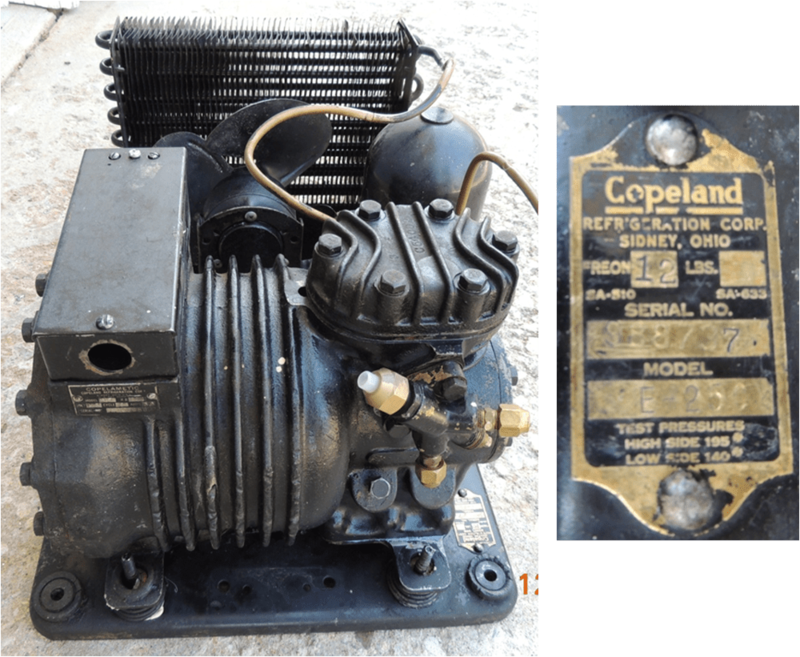 I recently received an email from a retired owner/contractor, Tom Hall from Owen Sound, Ontario inquiring about the age of a Copeland brand condensing unit (“Copelametic”) he has had in is home walk-in for over 41 years! He rescued it from a meat market all those years ago after a fire consumed the building. We get these type of inquiries from time to time, and it’s always enjoyable talking with our long time customers and digging into our archives to try to uncover the manufacturing date of the equipment. To the best of our knowledge this ¼ HP Copelametic condensing unit was built in 1954 meaning it has been in operation for almost 60 years! Tom recently retired the unit due to the relay finally giving out, but the compressor was still running strong. Is anyone in need of a Copelametic compressor replacement Part #HF25I for a 1954 condensing unit? I have Tom’s number (just kidding). It’s great to hear the stories of longevity of our products. Tell us your best Copeland brand story! Can you beat Tom’s?